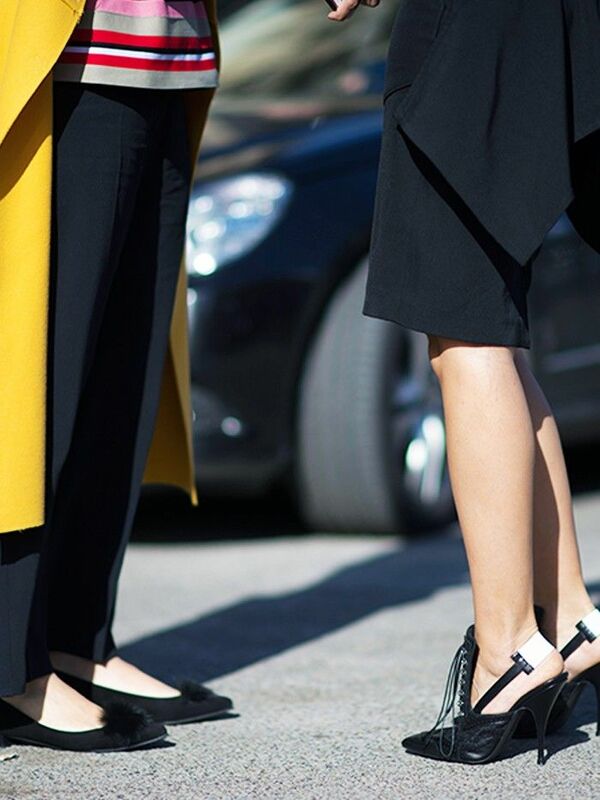 If you looked down at the feet of any street style star last season (maybe even your own! ), you’d undoubtedly spot a pair of attractive patterned ankle boots. While eye-catching booties are definitely still in, we’ve been noticing It girls toning down their footwear game this season: Boots of the moment are clean and simple in shape and coming in neutral hues like black or white. The best aspect of these pared-down boots? They literally go with everything you wear, so you can buy one new pair this season and legitimately work it into your work wardrobe, weekend uniform, and everything in between. Keep scrolling to check out fashion girls wearing the new breed of ankle boots and shop a few of our favourite pairs too. What are your go-to ankle boots? Let us know in the comments below.